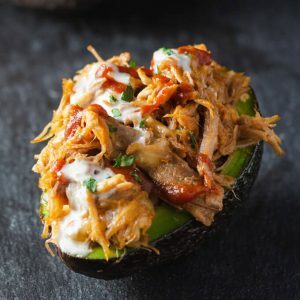 Keto stuffed mushrooms with pulled pork turns plain leftover pulled pork into a hearty and tasty meal. Use small mushroom caps for appetizers! 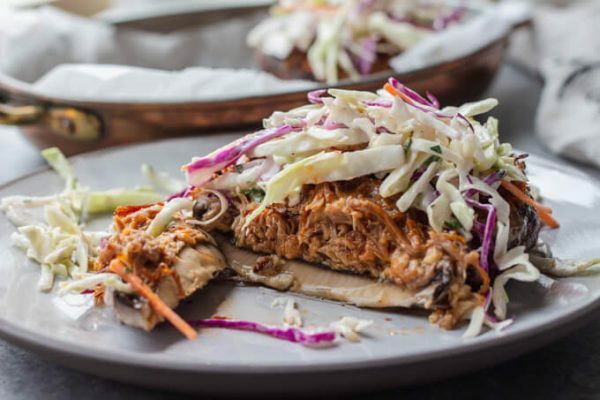 Have leftover pulled pork and slaw? This easy recipe makes the most of leftovers by presenting it in a new and different way! I have a southern husband who loves his pulled pork, so I always make extra. I freeze half to pull out on a busy week. 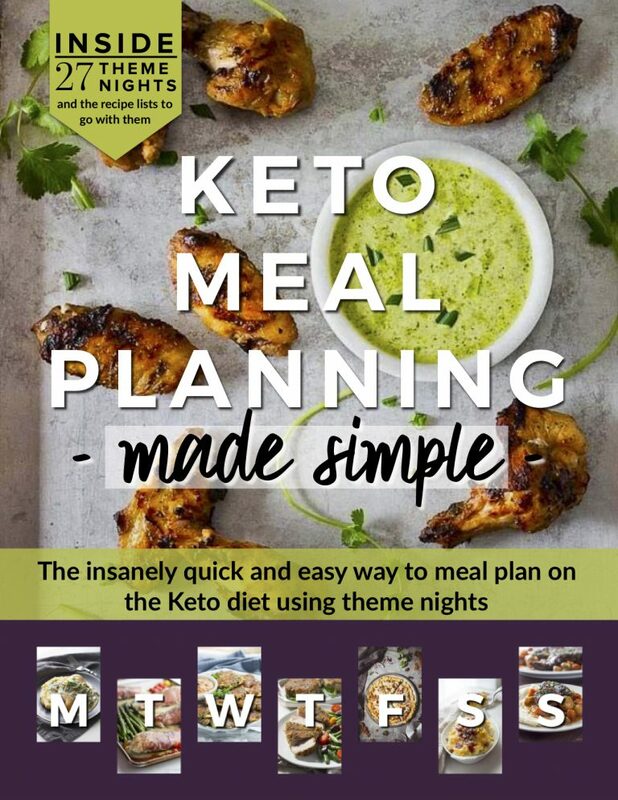 It’s such a time saver! While we used to love pulled pork sandwiches, we don’t eat them any more since giving up bread. Instead, we enjoy pulled pork lettuce cups, pulled pork on salads, pulled pork stuffed into peppers and pulled pork stuffed avocados. 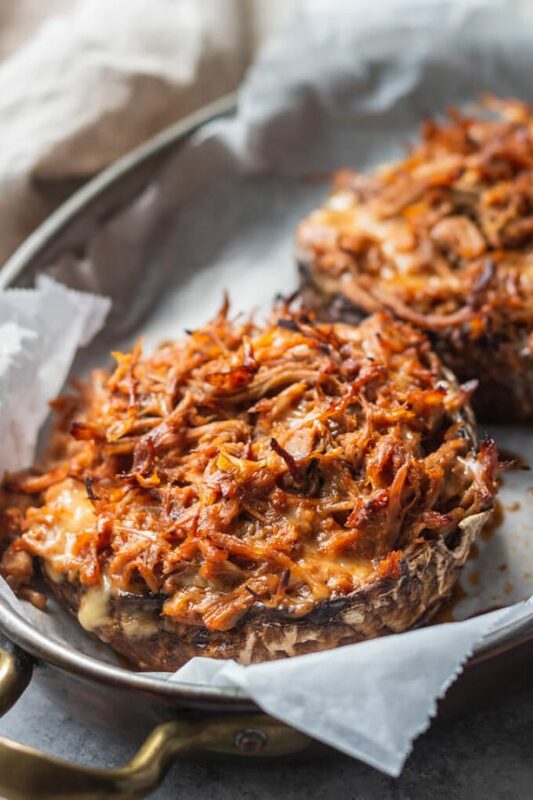 Surprisingly, one of our favorite ways to enjoy pulled pork is to stuff it into a portobello mushroom. It’s an amazingly delicious and hearty meal! 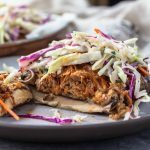 For this pulled pork keto stuffed mushroom recipe, I used some pulled pork that I made in the crock pot. 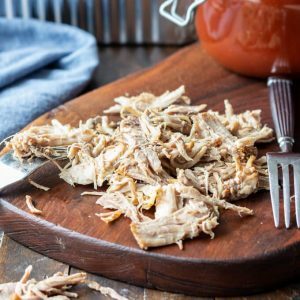 It doesn’t matter if you use pulled pork cooked in an instant pot, smoked pulled pork, or store bought. It all tastes good. As far as bbq sauce goes, I like a sweeter sauce for this recipe opposed to a Carolina style BBQ sauce which is vinegar based. You can use your favorite sauce. 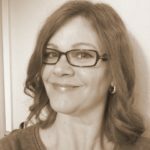 I opt to use a homemade sugar-free BBQ sauce, but I also like the G. Hughes BBQ Sauce and Alterna Sweets BBQ Sauce brands. 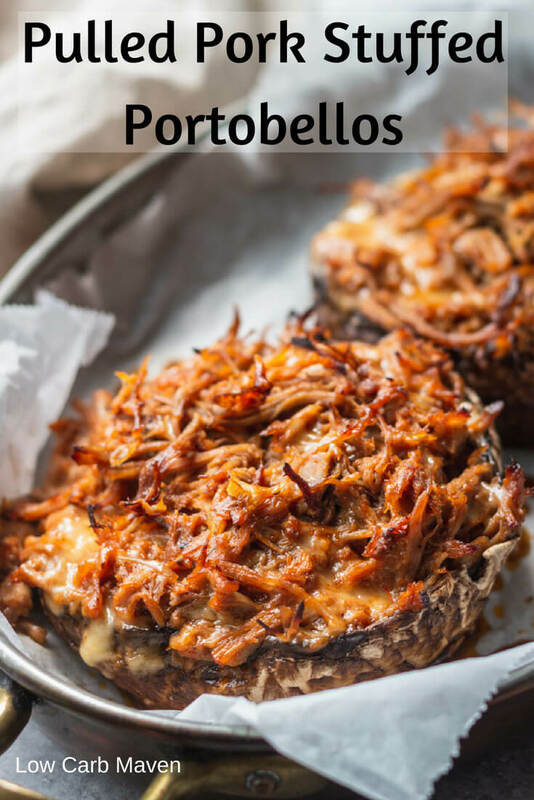 Pulled pork keto stuffed portobellos make a great dinner but also delicious as an appetizer using smaller mushroom caps. Typically, mushrooms are stuffed with spinach artichoke dip or sausage when served as appetizers. 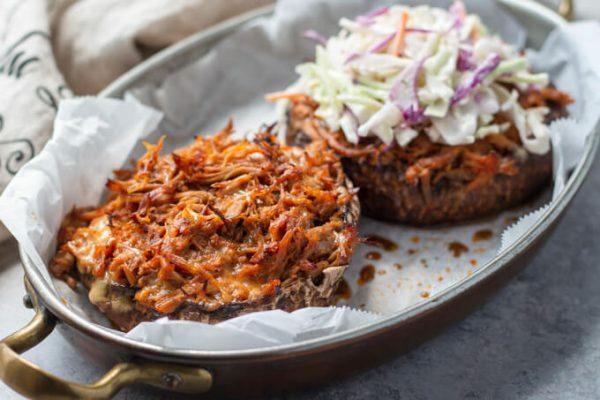 Stuffing mushrooms with pulled pork is something different – it’s fun and delicious! I’m going to share a great tip. One that many people don’t know about or just don’t take the time to do. Scrape the gills out of the mushroom caps. 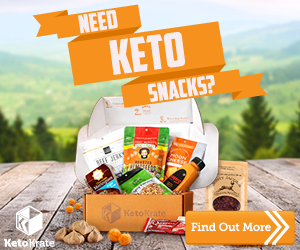 It just takes a few minutes and a spoon. Why remove the gills? Because the gills make black liquidy juice and removing them makes more room for the filling. If you are serving small stuffing-sized portobello or white mushrooms, a melon baller is perfect for this. First, snap out the mushroom cap. This can be chopped and mixed into your stuffing or saved for flavoring soups and stews. Next, while holding a mushroom in hand, gently scrape out the gills with a spoon. Turn the cap to get it all. For small mushrooms place the on a sheet pan or cutting board and use a melon baller to scoop out a neat reservoir for filing. After scooping out the gills, I brush or rub my mushroom with Italian dressing. It flavors the mushrooms and helps keep them moist while cooking. A little olive oil also works. If cooking a sheet pan of appetizers, pour enough chicken broth to cover the surface of the pan before baking. This will keep the outside of the mushrooms from drying out. Pull out the stem. Scrap out the gills. Rub with olive oil or Italian dressing. Season with salt and pepper. Warm the pulled pork and mix with bbq sauce. Stuff the mushroom caps and bake until the mushrooms are cooked and the filing is warmed through. Serve and eat. If making appetizer sized stuffed mushrooms, transfer to a chafing dish to keep appetizers warm. Refrigerate any leftovers and either warm in the microwave or cover with foil and bake in the oven until warmed through. Preheat the oven to 400 degrees F. Cut a piece of parchment (or foil) to line the bottom of a small rimmed sheet pan. Heat the pulled pork until warm. Mix with the BBQ sauce and cheese. If the pork is dry, add a little more sauce, water, or oil to moisten. Taste for seasoning and add salt and pepper if needed. Snap the stem off of the mushroom caps. Scrape out the black gills with a spoon. Rub Italian dressing or olive oil over the outside of the mushroom caps. Season the inside with salt and pepper. Bake for 30-40 minutes or until the mushroom cap is cooked through. Top each stuffed mushroom with 1/4 cup of coleslaw. Enjoy! 5.3 Net Carbs per stuffed mushroom. Refrigerate any leftovers. Remove coleslaw and reheat in the microwave or cover and reheat in the oven at 350 degrees for about 30 minutes. Wow! 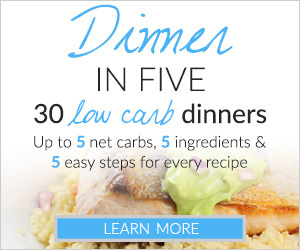 I used leftover crockpot pulled chicken for this recipe and the whole family loved it! Another great recipe. Thank you.